There was a time not long ago when burrata, that luxurious combination of fresh mozzarella curd blended with rich cream (the name is derived from the Italian word for “butter”), wasn’t found on every menu in town—not as a topper on the briny anchovy burrata toast at Gjelina nor plated up with house-cured tasso ham and muffuletta relish at downtown’s Preux & Proper. If you want to know who to thank for leading the burrata revolution, the answer can be found at Gioia Cheese Company, a small plant located in El Monte. Gioia’s owner and founder, Vito Girardi, is often credited with bringing burrata to the United States in 1992, back when he opened Gioia (Girardi hails from Puglia, a region of Italy where burrata is believed to have been invented). But not unlike Los Angeles’ Great French Dip Debate, a challenge to Girardi’s claim to the burrata crown has come from another cheese maker. 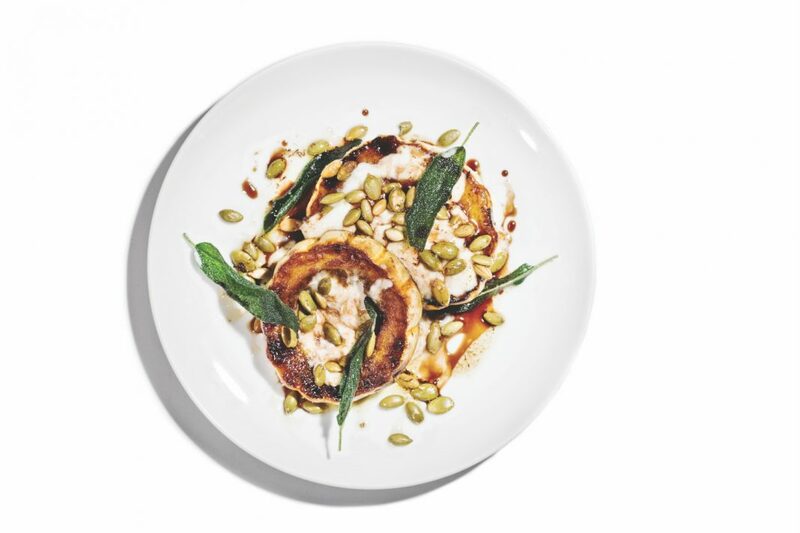 Di Stefano, a Pomona-based outfit started by Mimmo Bruno (who was also raised in Puglia), also opened in the early ’90s and is one of the city’s most prolific burrata purveyors. Both exceptional cheeses have a soft, ricotta-like heart that spills out of a thin skein of mozzarella when sliced; when they’re sampled side by side with a drizzle of olive oil and a sprinkle of salt and pepper, it’s nearly impossible to pick a favorite (although many local chefs do). Gioia, preferred by Simone’s Jessica Largey, shines because of its earthy sweetness, while Di Stefano’s complex, grassy flavor has won over the likes of Mozza vet Chris Feldmeier, who often crowns his version at Manhattan Beach’s Love & Salt with whatever produce is in season. You can find both brands at cheese shops or Italian delis—Bristol Farms and Gelson’s carry Gioia, while Whole Foods stocks Di Stefano. The best move, though, if you can spare the time on a weekday, is to visit Gioia’s factory in El Monte, where fresh-pulled cheese is sold over the counter in one-pound tubs. It may very well be the best $6 you ever spend. This article appeared in our 2018 Food Lovers Guide.